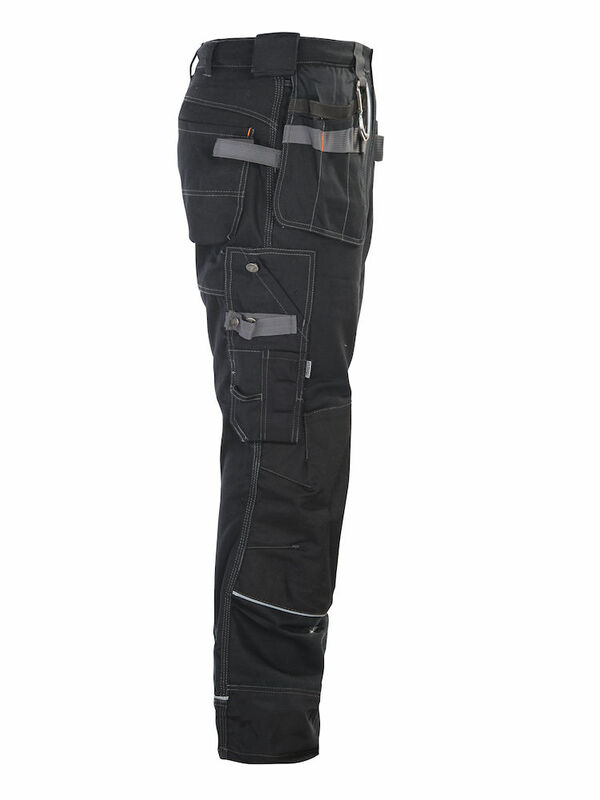 This could be the world's most advanced workwear workpants! 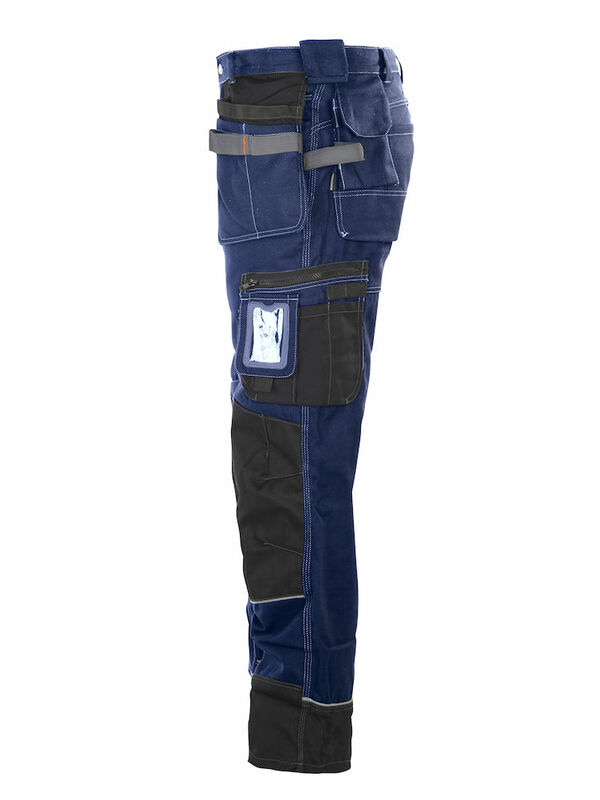 These unique workpants are the culmination of years of JOBMAN Workwear innovations, incorporating proven workwear concepts with new fabrics and designs for the most demanding work situations. The JOBMAN Ultra brings several NEW features into workpants for the professional who needs the most from his work clothing. The most outstanding feature is the knees - which are made from a NEW material called ARMORTEX. This new material is a combination of polyamide and Kevlar®. JOBMAN has long used polyamide in its workwear for reinforcing of key areas, and now this specially designed fabric has been added on these pants. 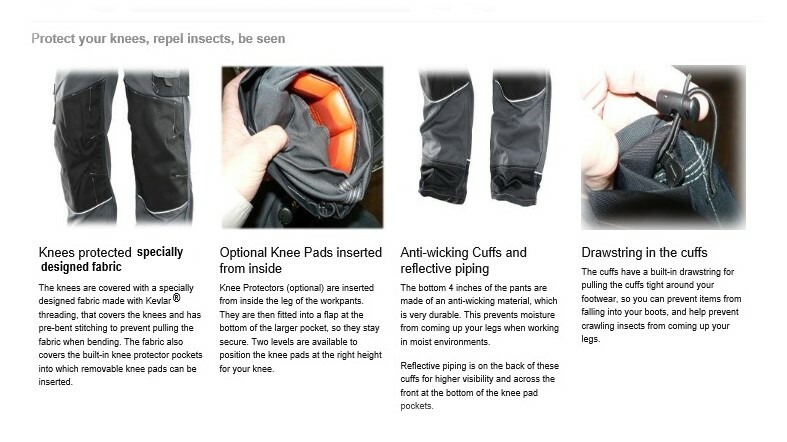 The result is the best protection available for your knees. The material is tear resistant, flexible, and slip resistant. 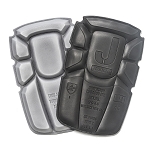 Also, these knee pad pockets are bi-level, so you can position the knee pads* at the best point possible for your body style. But, these pants have so much more than just reinforced knees. The Ultra has a big phone pocket on the hip, which will hold even the biggest smartphone. It also has wide tool belt or tool holder velcro straps on each side, to use in attaching equipment or hardware pouches if needed. The thigh pocket has a zipper, so anything you put in there will stay there, no matter how active you may be during the workday. On each side are "stiffened" hammer loops, so you can easily drop your hammer in. And, a heavy duty caribiner is sewn in on the front right for attaching tools, keys, or whatever if you need it. 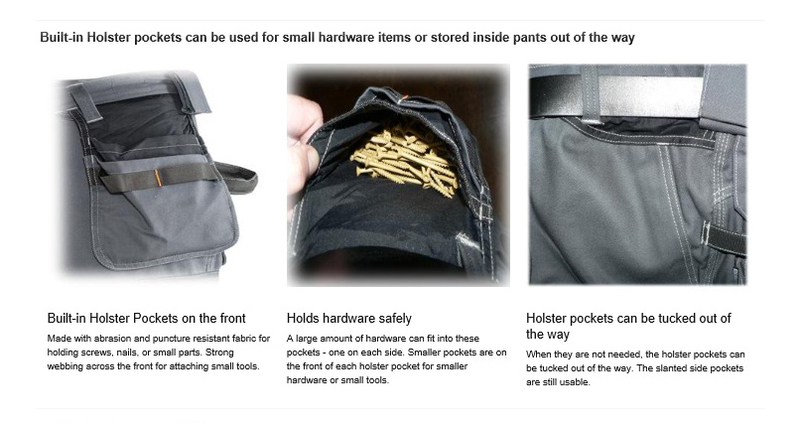 NEW to this pair of pants is a separate pocket for storing of the holster pockets, so if you are not using these hardware and tool holding pockets, you can tuck them out of sight. There are side pockets on these pants, so you can always have your normal pocket items in there, without the holster pockets getting in the way. Also new is webbing on the holster pockets, so you can tuck tools or smaller hardware on the outside of these pockets for easy reach when you need them. The fit is superb on these pants. The pants have a new type fit in the waist, with a higher back, but with a lower front fit. Also, the knees have stitched areas in them to provide a pre-bent feel, so you never stress the fabric when you bend your knees. At the base of the pants, there is a reflective stripe, which you really don't notice until you are in the dark and light shines on it, then you notice how bright it is. (We found this out when trying to take a picture with a flash of these pants.) And the bottom is polyamide, so the cuffs are anti-wicking, with a drawstring in the cuffs so you can keep unwanted particles out of your boots. All in all, these pants are the best workpants available, with superb quality, function, and durability - made for the most demanding professionals. 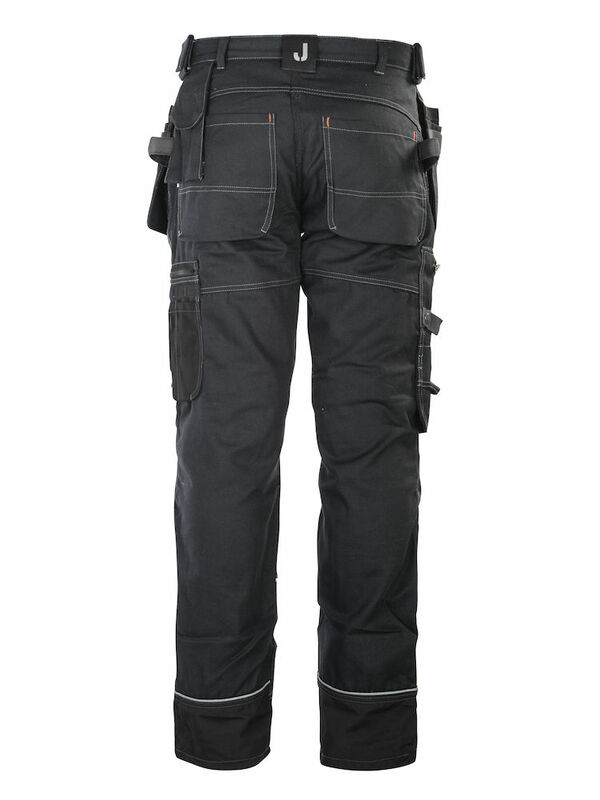 One of my best choice in workwear, comfortable, resistant, the multiple pockets are so useful... Everybody ask me where I bought them. AAA great kneepads and kevlar pants. My work takes place either in the basement or/and the roof, And with these pants i can hold all the necessary tools and not have to wear exterior kneepads, i only wish that the side diagonal pocket was a little more accessible, maybe wider? And some rear pull-out largepockets added for roofing. Thats all, thank you guys. Awesome work pants! Had them for about 2 weeks so far so good. They hold up great servicing elevators(no rips yet) and are very comfortable. Size up on the when purchasing will buy another pair in the future. 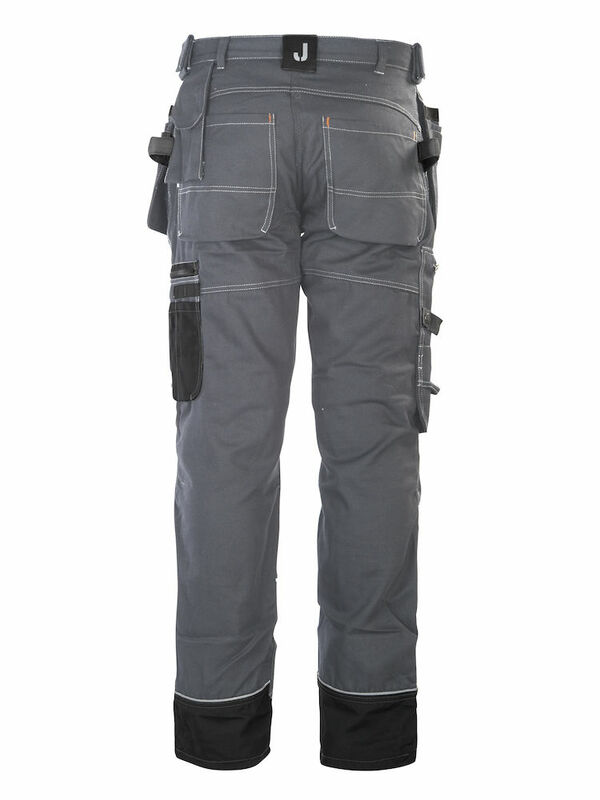 By far the best workpants out there. Better then all over companies out there so far that I have tired. Never knew anything like this existed. They payed for themselves in the first week I had them. good warranty great customer service. Took all of 14 business days to get here. However worth the wait. Order a size larger. And for the people that made sub par reviews about remedial crap like "the square doesn't fit in my pocket" and " I don't like the area of exposed skin when you pull the bags out" For the guy with the square... use a different pocket. It doesn't effect the performance of the product. And for the other guy... WEAR UNDERWEAR!!! thanks for a great product guys! Wish they came in a 28" inseam for short Scotch-Irishmen. I love the pants but I wish that a pant with a 28" inseam was available for all us short legged Scotch-Irishmen. My wife was nice enough to shorten them for me, but then loose the use of the cuff draw string. Also the knee pads seem to low with my short legs because they are designed for a longer inseam. Still trying to find a use for the Velcro flaps on the side belt loops. My husband absolutely loves his new work pants! 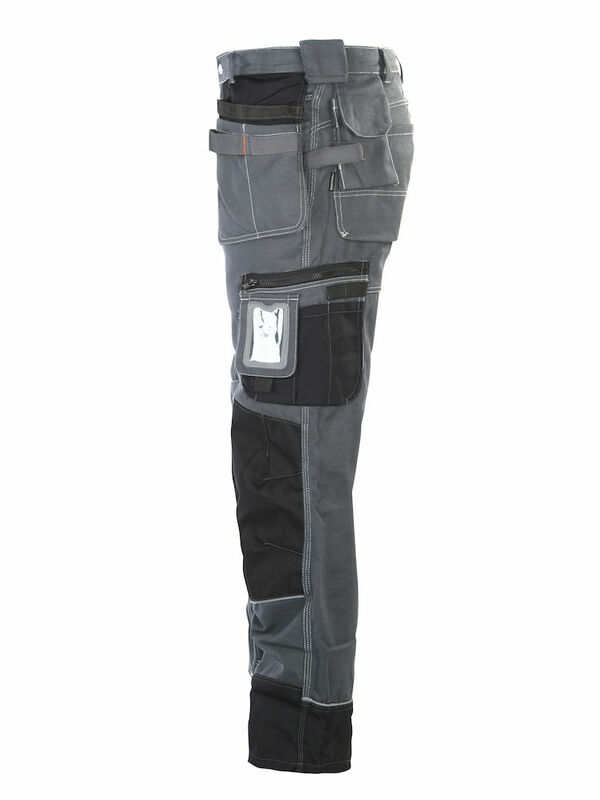 These heavy duty work pants are fantastic. I look forward to wearing them on a regular basis. They are high quality and fit well. The sizes do run small, order one or two sizes larger than you normally wear. Also the phone pocket does not fit the iPhone 6. I will be buying more in the future. I initially ordered one pair just to test them out, and really liked them. I have since ordered several more. They feel incredibly durable, but yet are comfortable for a long work day. I love all the pockets and the kevlar knees. They also look great, and have since become my company's official uniform. Order one size up as they run small, I usually wear a 36x36 jean but got these in 38x36 and they fit pretty well. Q: I love so much about these pants, but are the knees/other areas not covered in Kevlar waterproof or at least water resistant? Do you have a different kind to suggest for an HVAC tech who will be kneeling a lot and the ground may be wet? 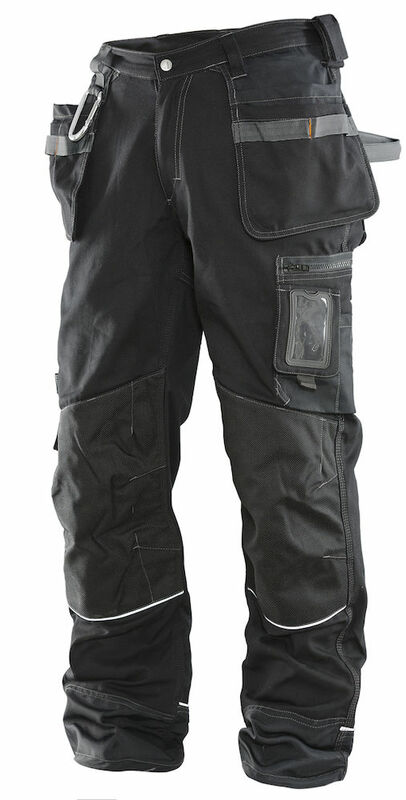 A: The only pants that are waterproof with kneepad pockets are the 2262 Waterproof Shell Pants. These will keep you dry, but might be too hot for an HVAC tech who has to work in hot environments. 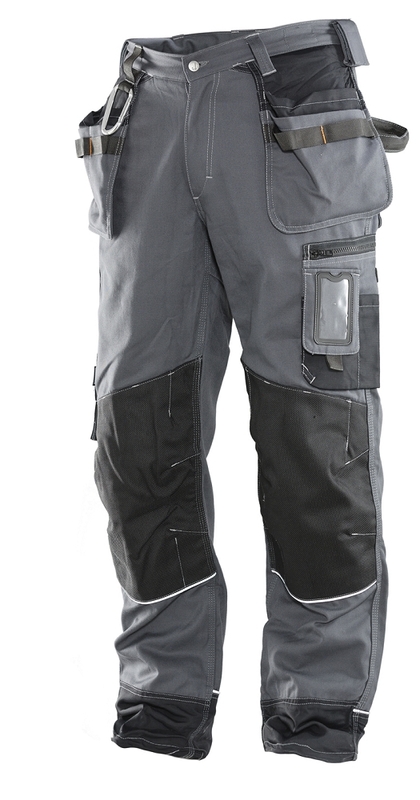 You might look at the Fast Dry 2812 Pants. These are not waterproof, but the material will dry quickly if you do get in a wet situation. They are also a lighter weight material so they will be cooler to wear in warmer environments. Q: What is the fabric weight? Q: Are they water resistant? A: No, these pants are not considered water resistant. Q: Are these made in the USA?